Easily and simply creates custom, beautiful barcodes. Is there a better alternative to Barcode UV? 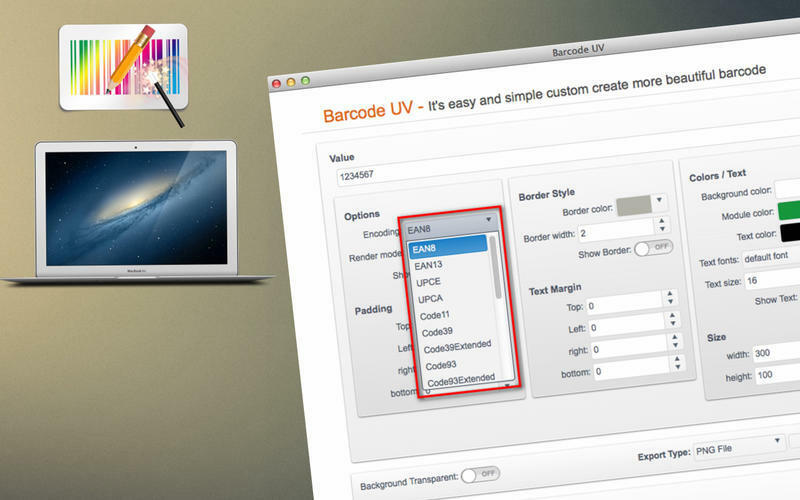 Is Barcode UV really the best app in Project Management category? 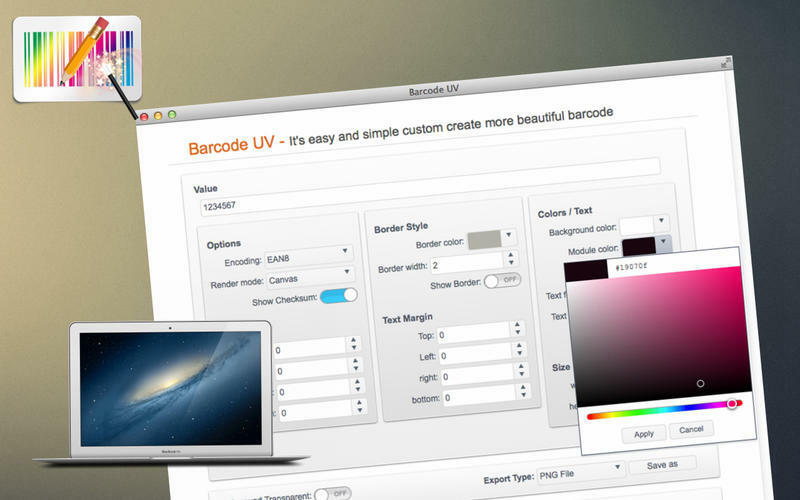 Will Barcode UV work good on macOS 10.13.4? 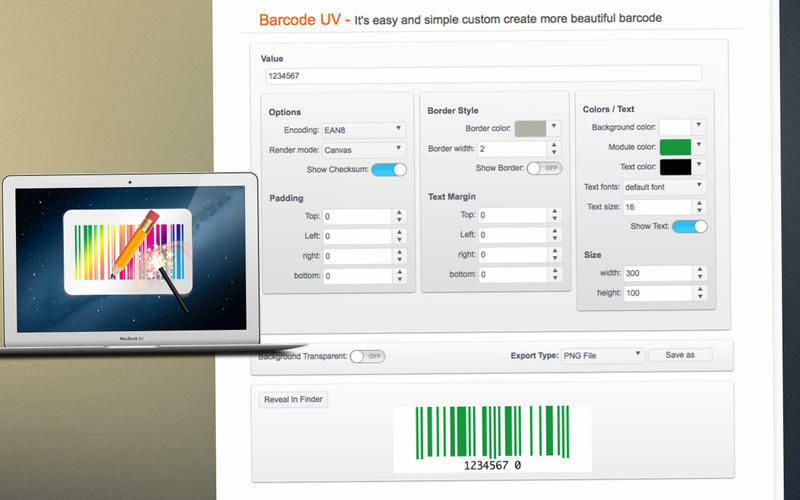 Barcode UV easily and simply creates custom, beautiful barcodes. support background and model color setting. support text font, color, font size, position adjustment setting. support barcode size, checksum, position adjustment setting. support save to PDF, PNG, GIF, JPEG, JPG, EPS, SVG, TIFF file format. Note: The downloadable demo is at 7.14.1120. The version available for purchase on the Mac App Store is version 7.17. Barcode UV needs a rating. Be the first to rate this app and get the discussion started! support reveal the save file in finder.